Online lenders are generally regarded as a lower cost borrowing and saving option. Fewer overheads mean online lenders can offer very competitive rates but there may be some eligibility requirements before lenders will accept customers. The internet has lead to the creation of many online only businesses and lower overheads are one of the main advantages. Using online only banks and lenders can be very good news for the customer when it comes to interest rates. This does not mean that all online lenders will provide low interest rates; high interest lenders are just as prevalent online. But customers with good credit records can find some very competitive credit deals online. As with all lenders it does make sense to shop around and widen the search for the best lending deals available. All of the lending and borrowing facilities that are available through high street lenders are available online. Internet only banks can offer mortgages, credit cards and loans in the same way as traditional high street banks. There are also a great number of independent lenders online who will provide a variety of different lending options. Online lending comparison sites have made it much easier to find the best interest rates and facilities available through online lenders. Applying for a loan or credit card can now be achieved with a few clicks of a mouse. As with high street lenders there will be online lending eligibility requirements. Credit history checks will be undertaken and other forms of identity verification will be required. This can include sending documents such as previous bank statements or a reference from a present employer. Utilities bills may also be required as proof of residence and in nearly all cases the lender will undertake checks such as electoral roll verification. Online lenders will use stringent identity checks to avoid the chances of identity theft and fraud. High interest rates on credit deals are not a great option but those with a bad credit history may not have an alternative. There are online only lenders who do provide lending facilities to customers with poor credit records. These can vary from payday loans to poor credit record credit cards and long-term loans. For customers with bad credit records this can be a way to improve a credit rating if used wisely. Online only lenders can widen the scope of lenders available outside of the normal high street lending arena. Some customers do prefer the personal touch and online only lending can seem impersonal. Financial dealings are either conducted online or through call centres and there will not usually be face to face interaction. Another disadvantage, but also one that occurs with high street lenders, is the penalty fees and charges. Online only lenders will not hesitate to apply penalties and fees to customers who are late in making repayments. For many customers this is a temptation as there is no face to face interaction but these fees can still be applied to a customer’s account. Finding an online lender couldn’t be simpler but there are a few considerations. 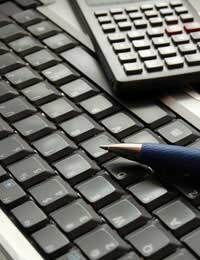 Online lender comparison sites can be used to check out the best deals and facilities offer by online lenders. But customers should be aware that certain online lenders have been tightening their belts due to a financial downturn. Some lenders will offer what seems to be a great deal but these may be applicable only to their existing customers. Customers should ensure they have checked all of the terms and conditions before applying for an online credit deal. Borrowers should consider the consequences to their credit reference when applying for credit online. Every credit application will leave a footprint on a credit reference. If a customer’s credit application is turned down this will be seen by other lenders. The more unsuccessful applications the more likely the customer is to be turned down by other lenders. Borrowers should research and only apply for quotes on credit deals and then place an application to one lender. If this application is refused then investigating the reason for the refusal should be a priority. Online lenders are a good additional option when seeking out the best lending and borrowing deals available. Convenience is a major plus point when using online banks and lenders. But as with high street lenders there will still be some downsides such as fees and penalties that will not be eliminated by using online lending services.